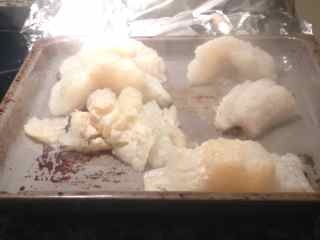 Ok, on the first day of Christmas, Bjornar served to me: codfish called bacalao. On the second day of Christmas…you get the idea. Norwegians love fish, especially cod. In terms of countries that catch cod, Norway is in the same league as Portugal–and at one time before its cod collapse, Newfoundland. 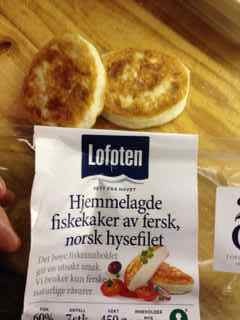 Since arriving in Norway, I have had it smoked, which is general the last stage of the game before the fish goes bad, then I’ve had it salted and then, I’ve had it soaked in lye. Yes, you read correctly. 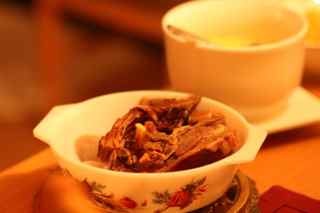 Cod soaked in lye, which renders the fish into jelly, is served on Christmas Eve. Lutefisk. Some love it; others loath it. I realize lutefisk sounds like something only a viking would eat during a long journey at sea when nothing else was available, and while this may be true, it’s a Christmas tradition so Bjornar made it, or at least he bought it already prepared, and we ate it on Christmas Eve, when Norwegians typically celebrate Christmas and open gifts. It was bland. Other than the jelly-like texture, it was like tofu: useless unless it’s got something added to it. We also had sheep’s ribs: Pinnekjøtt. Boiled and served with mustard, tasty but super salty. It reminds me of salt beef and cabbage meals, Jiggs Dinner, from Newfoundland. And, I must say, the house smelled like a farm for days. Grot is really just oatmeal but on a cold wintery morning, it’s Norweigians go-to breakfast. And, this is the country of muesli. Every grocery store has a wall of muesli that will make hippies salivate. Brown cheese, or geitost is really caramelized lactose and is so sweet and creamy…kinda like candy. I like to slice a chunk and eat with apples to feel less guilty. Lefse: A rolled up crepe stuffed with buttery, sugar and cinnamon, these are great after skiing. 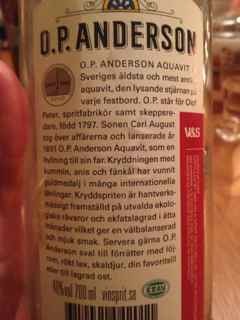 And finally, every country has its boozy poison and aquavit is Norwegians. Potato vodka–Norwegians are too practical to waste anything–it can almost taste like black liquorice at times, but after a few shots, who the hell cares what it tastes like, right?